If one element can transform your bathroom, it’s the lights. The right bathroom lighting can take your practical, every day room and transform it into a relaxing space you can relax and unwind in. 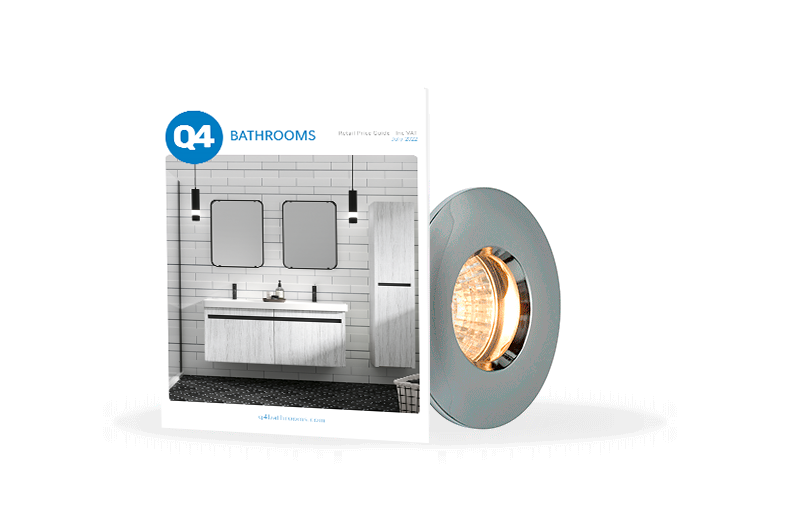 Working with top suppliers, Q4 offers quality bathroom lighting products that are built with durability in mind. From essential, overhead lighting to the more frivolous creation of ambience, Q4 has something to suit your style. We also offer decorative bathroom lighting so you can add the personal finishing touches. Our product range is constantly updated to ensure our customers are receiving the latest designs. When selecting the lights for your bathroom, understanding which items are suitable for the different areas is key to ensure safety. Look at our Zone Guide, featured in the latest brochure, so you can install products with confidence. Why buy bathroom lighting from Q4?